Roelof LOUW (1936–2017) made sculpture from wooden slats, cast-iron wedges, sand-blasted scaffolding poles, rope and neon. He made installations using industrial rubber bands, rolled-up lead sheets, or using tape recorders and the movements of viewers around a space. His work addresses itself to our bodies and minds, implicating them in its realisation and its sites: which might be streets, parks, woods or galleries. 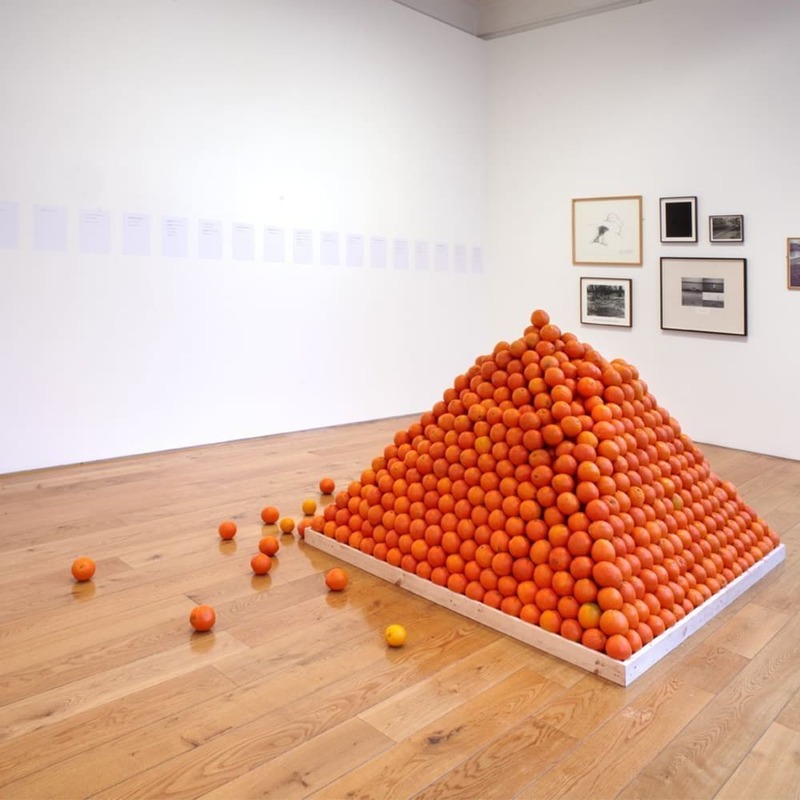 In Soul City (Pyramid of Oranges) (1967), the work for which he is best known, the taking of an orange to a hand and the experience of eating the fruit are crucial aspects of the work, as is the action of destroying the piece in the process. Prescient in anticipating the participatory and interactive art of the present, Louw’s work remained resolutely denied as sculpture, at the artist’s insistence. This was so even as sculpture became conceptual, ‘dematerialised’, or located in ‘the expanded field’, and even while his work was itself a part of these schisms. Louw studied and later taught at Central St Martin's School of Art, London, UK. His work has been featured in seminal exhibitions such as 'When Attitudes Become Form', ICA, London and Kunsthalle Bern, Switzerland (1969); and 'Between Man and Matter', Tokyo Biennale, Japan, (1970). His work is included in many notable collections, including the Tate.